For a city to be successful there is a need for good public spaces. This fact is also more and more recognized as an important factor for prosperous city by city administrations across Europe. Furthermore, public spaces have the ability to revitalize and create economic and social development opportunities. But for many municipal governments it is hard to find ways to build and maintain healthy public spaces. Especially because the web of streets, parks, plazas and other places that define the public realm are often poorly designed, lacking or didn’t involve citizens in the design process. Hence there is a need to improve public spaces to gain back a higher quality of life and to make a city more attractive. This means to design a street and places for people, not only for traffic. Because streets are an important part of public spaces; but they are often hostile to pedestrians and cyclists. It is necessary to plan streets for all users, with different types of streets to hold a balance. Well-designed parks and squares attract many people for various reasons. To relax and enjoy, or to meet people and share a public experience. Such public spaces have a big impact on social connections between citizens and their happiness. Street-markets bring various people together and give them the opportunity to exchange fresh goods and knowledge. Furthermore, street-markets are a great chance to support surrounding farmers and to stimulate the local economy. Because traditional neighbourhoods are getting replaced with skyscrapers and civic institutions, like schools and libraries, often end up looking like fortresses, the fabric of cities gets damaged. Moreover, it has a negative impact on the social connection between the citizens. Hence, it is necessary to design buildings which make a place more comfortable, connect the neighbourhood and support street life. A city is healthy if basic infrastructure, clean water and fresh food are available for citizens. Furthermore, a city is healthy if everyone – especially women and children – can walk outside without fear and can enjoy public spaces in safety and comfort. 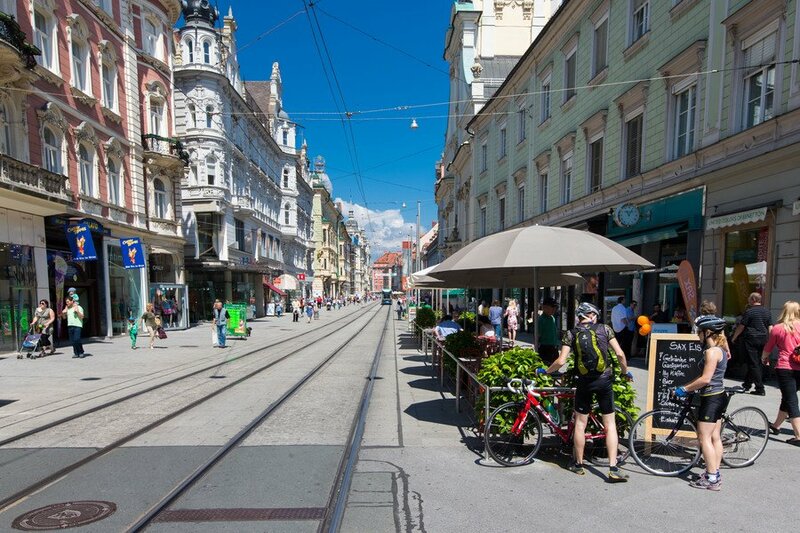 Also good streets can encourage walking and cycling with efficient transit. To create a sense of ownership and to ensure the success of public space projects it is important to engage the citizens, who know the community best. This gives the citizens the opportunity to have an influence on the development and design of their neighbourhood and the public spaces they use. The idea is that every neighbourhood provides 10 places that are good, which would lead to a critical mass and attract a range of people. The next step would be to provide 10 such neighbourhoods, so every resident has access to outstanding public spaces within reach. For the development, management and enhancement of public spaces there is a need for comprehensive strategies. For this it is required to make an honest assessment of how the existing public spaces are performing or under-performing. Furthermore, the assessment should involve the people who live there. Based on the assessment the public space goals can be created to support existing successes and to improve under-performing areas. Because good public spaces are the outcome of an evolution which has increased over time, it is required to create demonstration project of light, quick and cheap improvements. These improvements can be expanded upon to suit other needs of the public. With money, time and effort it is possible that from small improvements a great public space can emerge. If citizens get empowered with institutional restructuring it helps to drive all other principles necessary to create a positive public realm with health, attractive and well-used public spaces that are a true reflection of the needs and values of the community they are in.